Ms. Cupcake » Come Out For LGBT! Ms. Cupcake > News > Cupcake News > Come Out For LGBT! Here at Ms. Cupcake, we’re over the moon to support Stonewall Season, a week of events celebrating our diverse community. All this week, there’s a load of events and talks scheduled with the aim of coming together for LGBT equality. 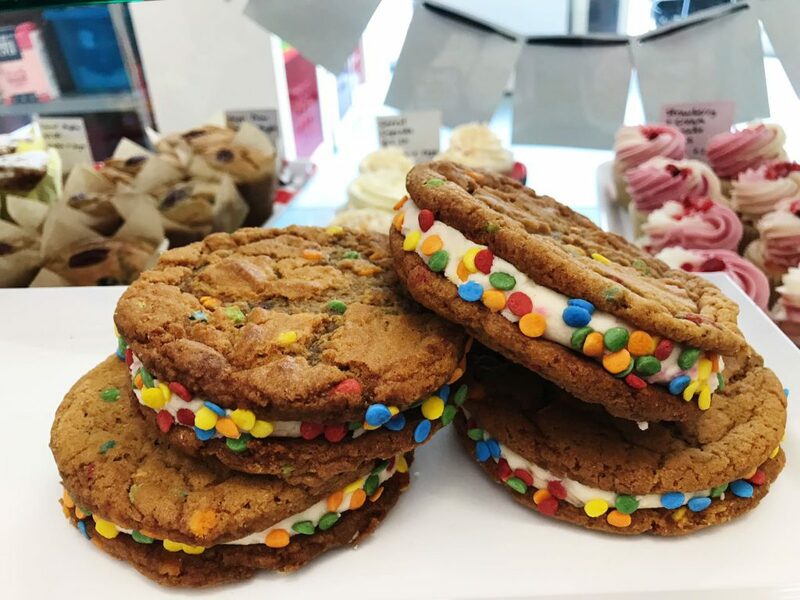 As part of the Stonewall Season, we’ve created the limited edition Vanilla Confetti Cookie Sandwich, with £1.00 from each sale going to the charity. They’ll be available at our store until 8th October, so Come Out For LGBT and show your support! You can find out more, including how the money is spent, here! This entry was posted on Wednesday, October 4th, 2017 at 12:29 pm and is filed under Cupcake News. You can follow any responses to this entry through the RSS 2.0 feed. Both comments and pings are currently closed.